There are a bunch of boat shows this weekend, and even more next weekend. We'll highlight a few of the current boating events below, but you are welcome to jump ahead to the updated, easier-to-read FirstBoat boat show calendar. If you like 'em large, hop a flight down to the Antibes Yacht Show, which features 150 yachts, from 50 to more than 200 feet, for sale and for charter. The show runs today (Thursday, April 12 2012) through Sunday. Also starting today is Boats On The Water 2012 in Prague. This is the 2nd weekend of Rand Show 2012, one of South Africa’s largest shows. Here in the States, we've got a few good shows to choose from. 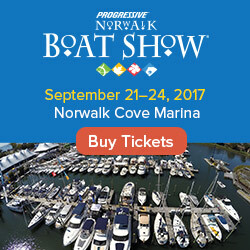 Today through Sunday, Jack London Square in Oakland, California, is hosting two boat shows - Pacific Powerboat Expo and Strictly Sail Pacific are produced as 2 separate shows, but will both take place at the same time and at the same location at Jack London Square, all for one ticket price. Friday through Sunday, Pecan Grove Marina, in Oriental, North Carolina, hosts the Oriental Boat Show. Also beginning Friday is Michigan's Traverse City Boat Show at Howe Arena. The show's website calls this "the #1 indoor boat show in the Northern Michigan." Saturday and Sunday you can catch the Lake Lanier In The Water Boat Show in Buford, Georgia. That is, of course, if the lake's water levels are holding up (see Tuesday's Daily Boater). There are additional boat shows in Brunswick, Maine and Clayton, NY. 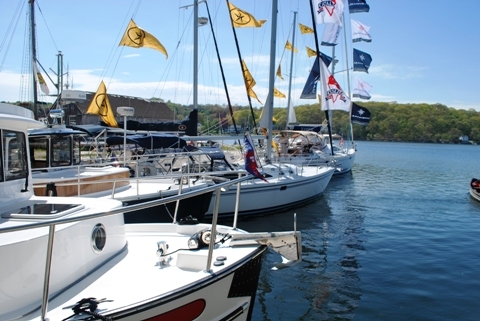 Please visit our partner site, Northeast Boater, for more info on these and other boat shows in New York and New England. 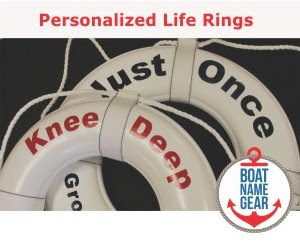 Looking ahead a couple of weeks, our partners from BoatNameGear have just announced they will be exhibiting at the Brewer Spring In-Water Boat Show at Brewers Pilots Point Marina in Westbrook, CT. If you are in Connecticut, please SAVE THE DATE and come visit us: April 28 - 29, 2012.